Fabric of Trenton Exhibit – Community Engaged Art Course at TCNJ! “Fabric of Trenton,” part of the global street art project INSIDE OUT, is currently on display in the Library’s Rose Garden. 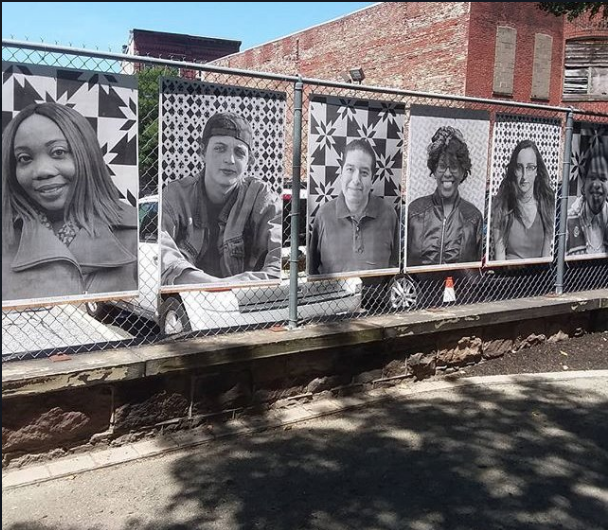 The 14 portraits in this project aim to capture the true essence of the people of Trenton and how they come together to make the city a home. Photos taken by students enrolled in the Community Engaged Art course at The College of New Jersey.